It grates when people write poorly, huh. When writers write well, the words almost become invisible. The focus shifts away from technical details, and onto the message. Is there an easy way to write better blog posts? E-mails? Web copy? 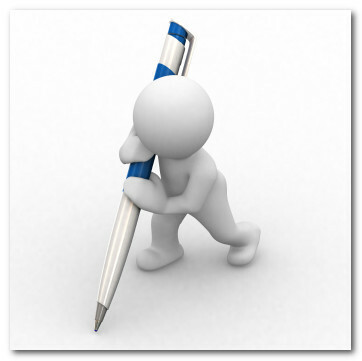 Let’s take a look at three guidelines for web writing. Who talks like this? Well, apart from the US military. Good web writing is the same as good spoken language. Use short sentences, short words, simple structures and a natural, predictable flow of ideas. Avoid waffle, hyperbole and words that hide meaning. Whenever you finish a piece of writing, read it aloud. Cut or rephrase phrases that sound clunky, because they’ll read clunky, too. Your writing will sound warm and human. The human voice is especially important online. Communicating at a distance, particularly two-way communication, is relatively new to humans. To help people connect with one another more easily, it pays to write in a warm, conversational style that mimics personal conversation when conducted in close, physical proximity. When you think about how you would say something, especially to a specific person, you choose words, expressions and structures based on that personal context. Try to imagine that person in front of you as your write. This approach works well for all applications – from formal legal sites, to personal sites. Planning what you’re going to say helps you to complete any writing task more quickly and easily. 1. Identify and list your goals. What is the message? What is the desired action you want your reader to take? What is the key thought you want your reader to take away? 2. Think about the audience. Who is your audience? What do you know about the person or group? 4. Write quickly. Don’t edit, even if your writing is a mess. Separate out your writing and editing functions. 5. Draw a solid conclusion. Calls to action work well. 6. Read aloud what you’ve written. Cut, fix and tighten. Writing comes alive in the rewrite. Solid blog posts sound spontaneous, but they’re not. They’re often structured, worked and reworked. Hyperbole means extreme exaggeration. i.e. “All the perfumes of Arabia could not sweeten this little hand”. Web readers tend to gloss over the flowery and the convoluted. On the web, people scan, so the shape of your writing – how it appears on the page – can be just as important as what you say. So think about the shape and form of your writing. Can you use bullets, headings and images to break up large blocks of text? Sometimes, the best thing to do is not write at all. Can an image convey your message? If so, use it. Also consider context. When visitors arrive on a page, a page deep within your site, do they know what your site is about from glancing at that one page? If not, consider using chunks of content to provide context. These chunks of information can be repeated on every page of your site, and should be self explanatory. Think directory entry. Your repeat visitors will become blind to it, but your first time readers will appreciate it. We could go on all day about web writing. However, we’d like to hear your tips. How do you approach writing on your site? Do you plan? Do you wing it? What style of writing gets the best results? Perhaps part of the “interesting data” Richard Rosenblatt was talking about was link anchor text on expired domains & cybersquatting efforts that he could redirect in bulk at high earning eHow pages. Not to fear, Demand Media is a trusted Google partner, so the algorithm and engineers are prohibited to take action against the same activity which would get your website removed from the search results. 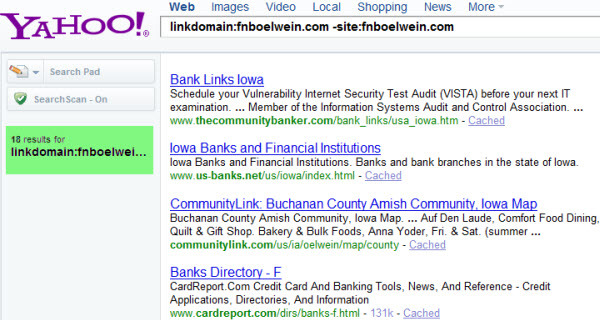 I am not sure how long Yahoo!’s link function will work for, but below are screenshots showing the inbound links pointing at these expired domains that eHow was exploiting. After the domains got press coverage Demand Media quickly removed the redirects & the domains are generic PPC park pages. 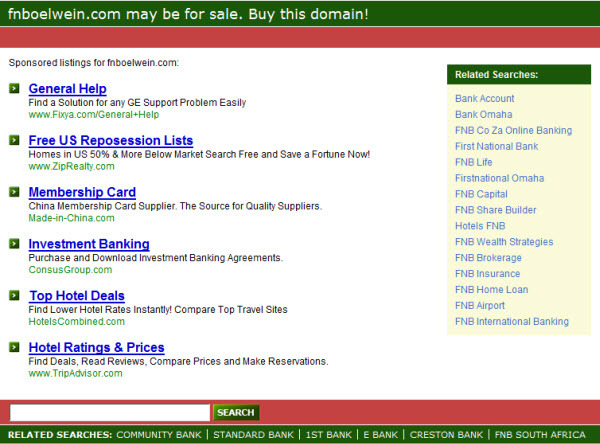 if these domains were acquired by Enom, fair and square and not from their own customers, then why all the deception, and not just offer these domains for sale through Enom? Is this another example of registrar abuse? Certainly, this maybe another reason for all domainers to take a long hard look at which companies they choose to do business with. Buying expired domain names for links is something Matt Cutts loathes. In fact, the first time he came across spam it was someone doing the exact same thing eNom was doing above – taking a well linked to domain name and leveraging that link equity for another purpose (see the very first question in the following video). 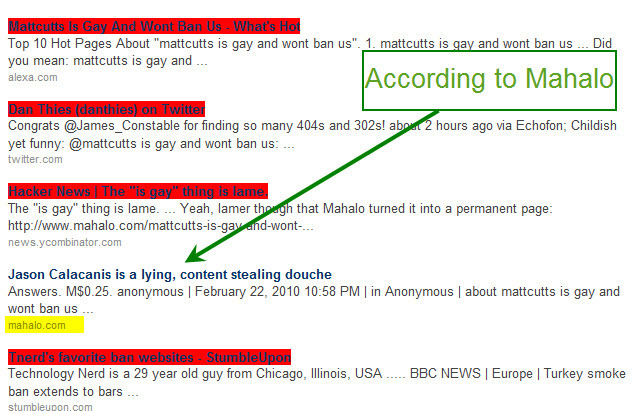 The very technique that eHow uses today is *exactly* what caused Matt to create Google’s anti-spam team! Google’s blind eye and double standards toward the large MFA spam sites are becoming such a big issue that it looks to be at the core of the marketing strategy for new search engines! The following is a guest post by Kpaul. A long time ago, on an Internet far, far away (when I wrote for fun – and for free), I did a piece called Portrait of a Blogger. The year was 2002 and blogging was just beginning to really hit the mainstream hard. If you’re not familiar with the audience at Kuro5hin.org, they’re a snooty version of slashdot readers if you can imagine such a thing. (Mentioning both of these websites is outing my age, I think. I better not mention Compuserve.) The story was published on K5 and is still available today. I was told once that it drew a lot of traffic, although Mr. Foster never would share the exact numbers with me. (I imagine he’s laughing somewhere on his yacht these days.) It’s interesting to see how many of the links are still active in that article. In any case, I thought about that story the other day when I was lamenting the fact that I didn’t start publishing my own content on my own sites earlier. (I spent the bubble years working for corporate media on the Death Star.) I let the idea of the piece gel in my mind for a while. I knew I couldn’t do another portrait of a blogger piece. I mean, I could, but I don’t think it would do as well as the previous one did. 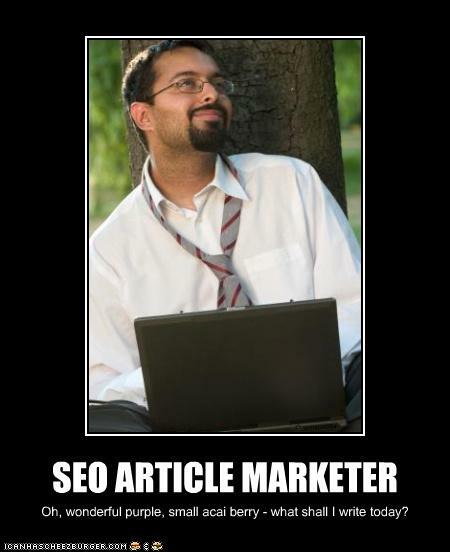 Also floating around in my mind was an okay from the esteemed Aaron Wall to submit a guest post for SEO Book. Eventually, these two ideas crossed paths, exchanged emails, and set-up a plan to combine the old Portrait of a Blogger piece with something relevant for Aaron’s audience. If one page in the SERPs is good, and ten pages in the SERPs is great and so on and so forth, what about 1 billion pages? That would be best, right? But how to write a billion pages worth of content? Enter the auto-blog. This spray and pray method of SEO is still tried by many new to the industry, but it is becoming more and more difficult to keep a site like this going for more than a few months. That’s not to say that it doesn’t exist, but there are few low level auto-bloggers who don’t end up getting burned. 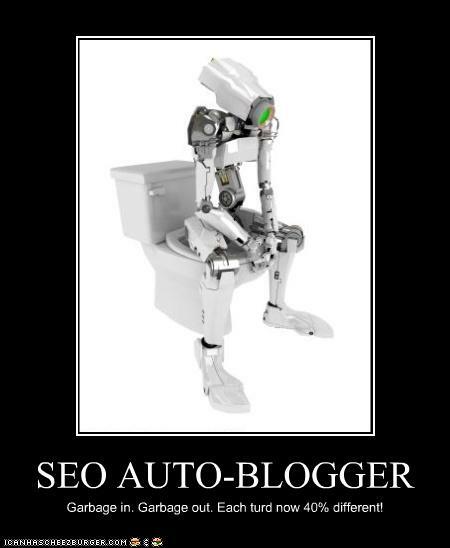 And yet auto-bloggers make up a large slice of the SEO landscape. This will undoubtedly change in the years ahead. These people live and dream about links. From the value of links to anchor text to placement to link wheels, their world revolves around the power of the link. Since link selling and buying has gone into a shady black market type atmosphere over the last few years, some of these characters can be shady. A common technique is to peddle “text advertisements” for a low monthly rate to unknowing webmasters. While there are some websites and email accounts still operating in the open, there are also black hat link merchants in some very bad neighborhoods. While I probably shouldn’t mention it, there are some who see short term success using these methods. The thing is, online you want to play the long game. And for that, buying and selling links is out. Favorite viral video: That annoying frog techno thing! The schemes and scams are plentiful in the world of the phony guru. Yes, you too can make money by showing others how to make money. A lot of these so called gurus don’t even make money on the Internet other than peddling their ebooks and membership sites. The problem with these people is that after a person is burned by so many, they run the danger of not spending ANY money online. This can be just as bad as wasting money on worthless, phony gurus. 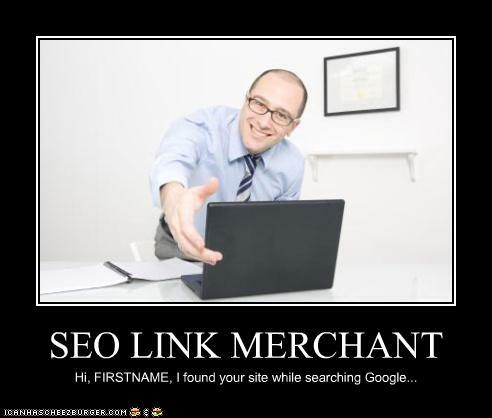 For example, an SEO Book membership is a wise investment that will pay off in the long run. 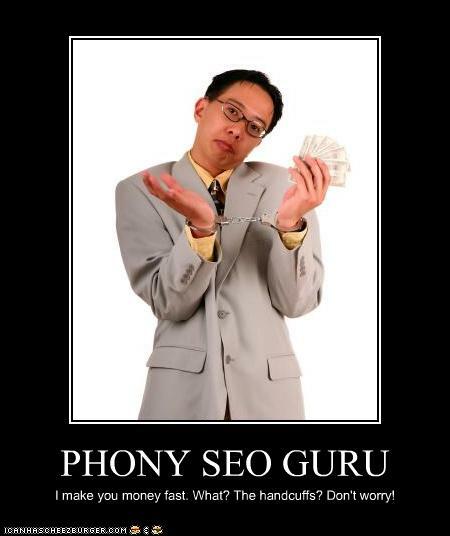 Don’t be afraid to invest money wisely after being burned by phony SEO gurus. Favorite software: The latest WSO! Usually found huddling around the phony gurus (which grow in numbers every month it seems as more and more people try to monetize the web), tail chasers are those people who try to copy current successful marketing methods online. If you study the whole rebill period of Internet marketing, there were a few people who started off strong (and somewhat legit), but as more and more people got into the game, the boundaries were pushed more and more. The highlight for me, I think, was seeing an elderly lady talking on a YouTube video about posting links to Google to make money. While some tail chasers may be able to make small (or even moderately large) amounts of money in a short time, they lack the skills (and vision) to replicate the success on a continual basis. We interrupt this guest blog post for a shameless plug. On one of my blogs, I’ve started using D&D character alignments instead of ‘colored hats’ to tag various methods for SEO and marketing online. Okay, it’s not really unique and I doubt it catches on, but it gives more opportunities to categorize Internet marketers. We now return to our regularly scheduled guest blog post. Thanks, Aaron! When not wearing their “I Heart Matt Cutts” t-shirt or coming up with ways to make their website more unique and useful for visitors, these individuals like to volunteer at local homeless shelters and nursing homes. But seriously, these people make an effort to do things above board online. Many are still able to make a good living while doing this. Many don’t have the patience for white hat SEO, which is a shame, because it’s one of the better long term methods of success online. Think of your visitor after they get to your site more than trying to trick Google into ranking you high in the SERPs and you’re on your way to becoming a high level white hat SEO, which comes with many special abilities and powers. 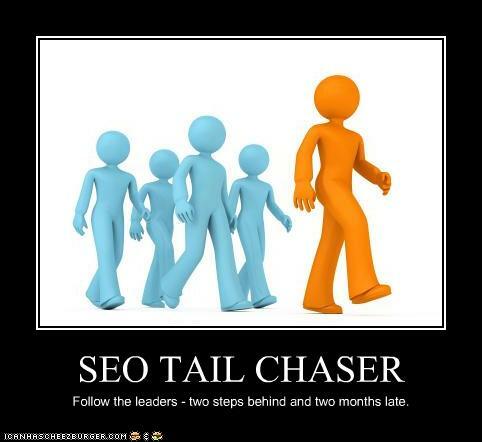 There are some who fall between the tail chasers and the SEO grandmasters (of all persuasions) who have the ability to recognize an opportunity and jump on it, making a bit of money along the way. 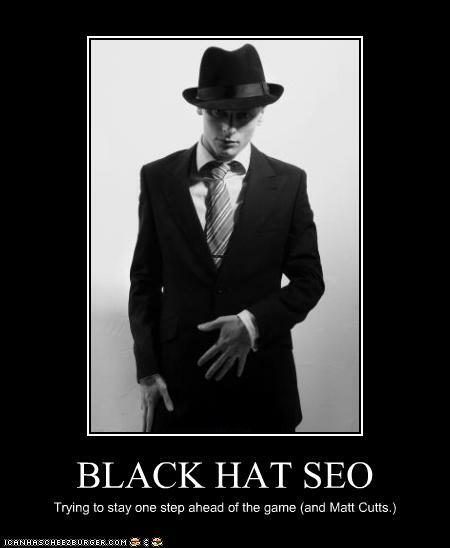 The problem is that most methods used with Black Hat SEO are short term. They may have a huge payout, but the model is not sustainable unless you can stay somewhat ahead of the crowd when it comes to new things to exploit online. While some are fine with this, most at this level have the ability to come up with unique ideas on their own. When you consider that there’s about the same amount of work involved and the non-black hat techniques last longer, it makes sense to try to get beyond this stage in your SEO evolution. If you mix black and white, you get grey, of course. 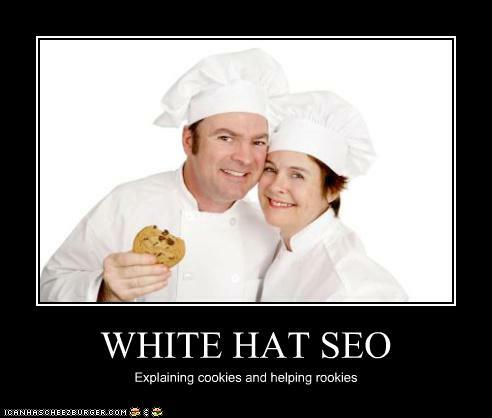 The grey hat SEO uses both white and black hat techniques. While they’re more open than those who wear a black hat most times, they are generally more cautious than people into white hat SEO. For the most part the mix of both (good and bad) vary at any one time with grey hat SEO. Over the years, this label has morphed somewhat into a blue hat SEO, with a few key differences. 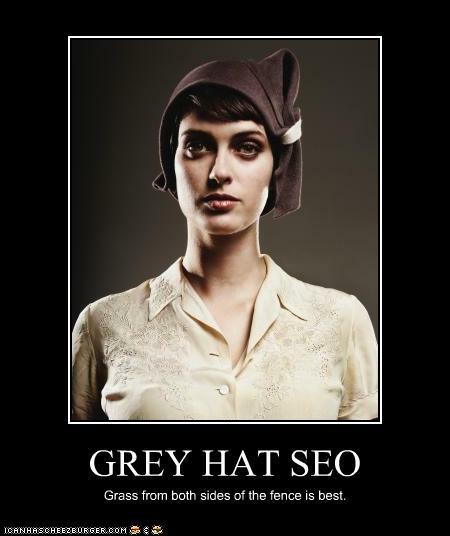 Grey hat SEO, to me, means more about techniques while blue hat SEO concentrates on a mixing of web properties with different values. I’m pretty sure I know who came up with this phrase, although I’m not exactly sure of their definition of the term. 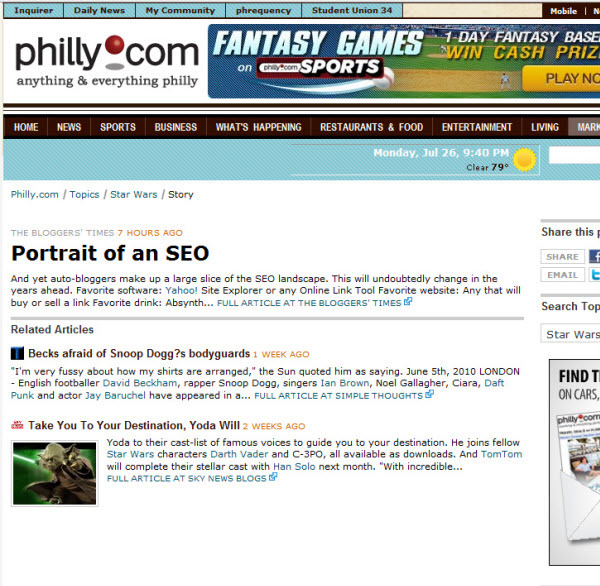 To me, it follows the ‘SEO Empire’ line of thinking that was created by Eli at Blue Hat SEO. So, it would be a mix of pure white and somewhat grey (or downright black) websites in a network online. So, garbage sites at the bottom of the pyramid point up toward the money sites at the top of the pyramid. How this differs from straight grey hat SEO, I’m not sure, but it’s used by quite a few people these days. 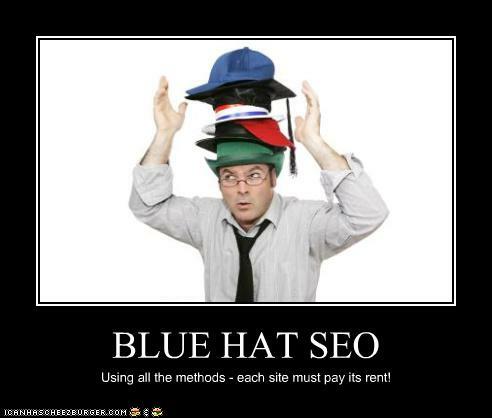 For the most part, Blue Hat SEO peoeple are well versed in the way the Internet works. And if they don’t have skills, they have someone in their network who does. There are quite a few high level blue hat SEOs currently operating online. When they’re not actually banging out articles for their own or other sites, they’re thinking up ideas and topics for their next round of articles. They know the value of content online. This group is split like most others into various levels of quality ranging from garbage to modern literature and everything in between. You will notice if you look closely that the more successful article marketers have higher quality content. This is no coincidence. Of course, good content is only one small piece of the puzzle, but you may want to consider outsourcing your content needs to an article marketer. 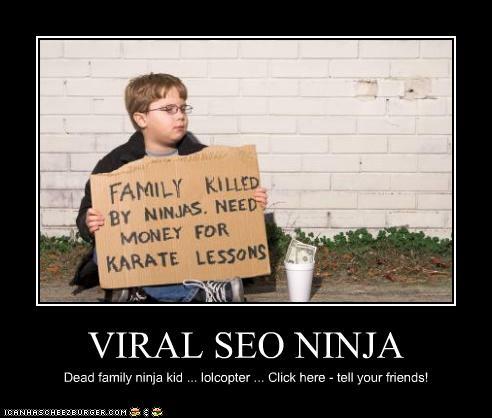 When it comes to linkbait and causing ripples in the blogosphere, there’s nothing like the skills of a high level viral ninja. Part Charlie the Unicorn, part Star Wars Kid, and with a dash or two of LOL cats and one very, very, extremely tiny bit of 4chan, the viral ninja can mix media to send a message, get a laugh, or compel people to tell their friends about the content. As more and more people come online and try to be viral, it’s becoming more and more difficult to be unique and stand out from the millions of other people online who are vying for attention. The viral ninja understands this and is already working on three or four projects that will drown the numbers for the “Please don’t taze me” video. You don’t hear from these people too much on the forums or at conferences. They don’t typically have a very active blog. They do, however, spend their time making money online – most times quite a bit of it. They apply their SEO knowledge quietly in the background, slowly building their empire piece by piece. They understand marketing and business principles and employ them. These people learned early on that wasting time online – especially at forums chasing the magic button – is not a good thing. They learned how to buckle down and apply the knowledge that everyone who’s anyone has. They know it’s all about applying the information rather than just knowing about it. While you don’t hear much from these people publicly, when they do talk quite a few people tend to listen. What are the lyrics from Ghetto Boys about real gangsters not talking much? Go Google it. (Sorry, Matt, it’s a verb now. You know there are secret Google parties celebrating the fact. Smile.) But yeah, real gurus aren’t all talk and no action. Real gurus of the industry don’t pitch anything and everything just to make a buck. The real gurus are few and far between, but they do exist. If you run into one, be nice to them. 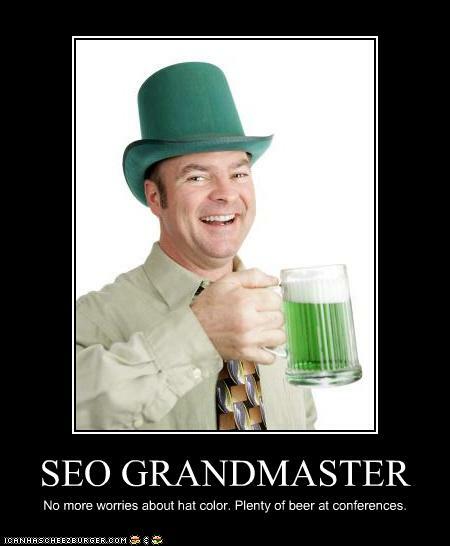 Unlike the SEO grandmasters, they’re more public and don’t mind interacting with the public. That said, they tend to value their time, so don’t waste it. This path has the most opportunities for people who are into SEO. (In gaming terms, it has the highest level cap.) It’s a long road, and it’s not a quest that can be undertaken alone, but if you’re serious about SEO, this is the route you want to take. If you’ve been around for any length of time, you know that the Internet is still constantly changing. Some of the changes are for the better and some aren’t as good, but they all are something that everyone who works online has to deal with. The SEO of last week – or even today – isn’t the same SEO that is going to be in operation over the next decade. Personally, I see the word organic being more important. By organic SEO, I mean not mass produced, not a trick, not a scam, not a scheme, but an actual relationship between publishers and website visitors. The sites that are able to build communities around themselves are going to be the ones that survive, I think. And there is no method of SEO known to man that can create a community – a real one – out of thin air. That said, SEO can be useful to help draw people to a website that is worthy of a community forming around it. A disclaimer from Aaron: I thought it was fun, but I loath rap music (especially that from asshats like Kanye West), and I realize that being a publisher in the SEO space is way more profitable than being labeled as an SEO guru. I also didn’t put the last picture in because he used me…and I felt that would have been a wee bit egotistical for me to publish a guest post highlighting me like that. But the post is still a lot of fun & I am sure you can associate with at least 1 or more of the above profiles. 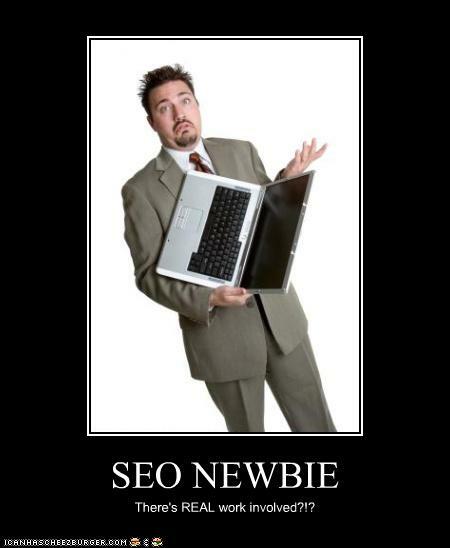 If not then you haven’t been in the SEO space very long yet! They might prefer to use different labels (so as to minimize fear in the marketplace & slow down regulators), and they might claim that aggregate statistics control the investments & thus they are not really publishers, but they plan on skimming a big piece off of the top of many big markets. AdWords was just the start! Videos, maps & product search…look how Google self-deals in each while managing to call it a value added feature (or some such). 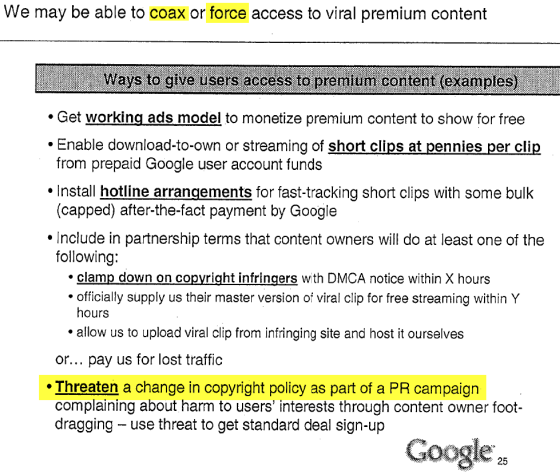 If Google collects data, hosts data, sorts data, recommends personalized consumption habits, and then makes small investments in new content from proven past performers (and then give them a bit of stealth promotion on their network)…how is it possible for Google to lose money? (Outside of lawsuits)? Google can claim they are “democratizing” media while showing a string of successful partnerships based on investing using real time data that nobody else as access to. Meanwhile if you are a publisher they are gutting your business model through paying people to snag your content and wrap it in their ads, while they also redirect user attention to the companies and acts they have invested in. Note that there was no moral debate on the table. Their only internal limitation to setting up a hedge fund and swaying the markets to increase the profits of their trades would be that they thought it was illegal. How much of the online ecosystem can Google consume before publishers promote other views of the web? One way to fight this sort of strategy is Yahoo!’s sell or outsource everything but the logo strategy. It increases short term margins, but in the longrun it makes one that much more vulnerable. Google can always buy the partner of choice and then ride off the free promotion & validation that the acquisition gained from earlier partnerships. Sure adding more noise to a noisy market can bring in eyeballs, but fleeting ones. Death by a thousand compromises. The other is to work in markets too small for Google to be interested in. Or to define & create a new vertical, like Zynga did. Even with as shady as Zynga’s founder is, longterm that company is in a better position than Yahoo! is. Sure they own the search category, but if they let the rot set in too much then people will shift to other modes of discovery. Google realizes that search may splinter – its why they bought Youtube, why the offer a mobile operating system, etc. I won’t be surprised to see a lot more of this in the near future. Such a shame, as Jason is such a great guy. Google keeps fighting on multiple fronts. Like boxing a glacier, over time they just wear the market down. “If too much of your brain is occupied with the process of choosing, it takes you out of the experience of watching,” explains James Black, a NowMov co-founder. “We’re looking at how to push users into passive-consumption mode, a lean-back experience,” Mr. Davidson says. They want Youtube to be like television, because the TV ad market is far larger than the web ad market, and they already own search. 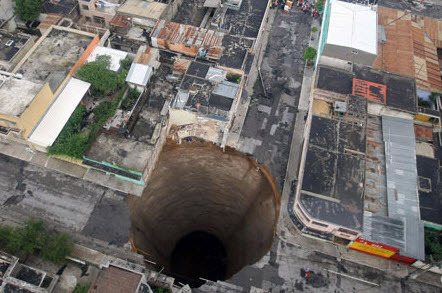 They are desperately searching for new markets for avenues to grow. It’s the “first one is free” approach that a drug dealer uses, and it’s not a “free” play, it’s a “we are the new railroad” play. For one-tenth the amount they paid for that crappy old codec, they could have paid Firefox’s licensing fees in perpetuity, if being a sugar daddy is what they want. They don’t want it. This is a “in your face, Apple” play, and a monopoly play. And in addition to owning Youtube, tons of dark fiber, and their video codec, Google announced their Google TV effort. The person who controls the set top box has the market data. The success of Google TV will come down to one thing….PageRank. Can you imagine the white hat and black hat SEO battles that will take place as video content providers try to get to the top of the TV Search Listings on Google TV ? Like Google said, there are 4 billion TVs and growing and the US TV Ad market is $70 BILLION. There is a lot at stake if Google TV takes off. How Google does its PageRank for this product will have a bigger impact on the success of the product in the TV market than anything else it does. but if Google is passively monitoring the network they are far better than a guide. It becomes easy for them to see when their recommendations were not relevant & adjust. And if a network screws them multiple times they can always provide a dampening factor in their rankings. Google will do what it does, and that’s insinuate itself between information and the user. And the fretting will be minimal. As for the impact of Google TV, this has the potential to challenge the TV hegemony. By blurring the lines between TV and the Internet, Google TV has the potential to destroy classifications of content. No more “TV shows,” just “content.” No more “Web videos,” just “content.” And, once the distinctions are completely undermined, then direct distribution via the Internet becomes more viable. Google TV could replace Big TV as the aggregator, then it just becomes a matter of who offers the fattest pipes. Once Google has the aggregate usage data they can use it any way they like. The concept applies to any market. Economies of scale advantages breed more economies of scale. Apple and Amazon want to have proprietary ebook formats? Fine. Google will assist publishers in creating the default common e-book format. It is not just regular algorithm updates that can whack your traffic. A couple years out these additional content formats will be a big issue for many web publishers because if Google gets a significant sample size & market leverage in any of these parallel markets then some of these other content formats will start bleeding into the search results. And that (along with market competition) can quickly drive margins into negative territory for many publishing business models. Now that big media practices keyword stuffing, engage in link selling, are invested in SEO start ups, and are selling SEO services perhaps they won’t publish ill-informed pablum when writing about SEO. Google is warning newspapers from linking out and is warning webmasters not to do guest posts. It turns out that any and every link is a bad link in their warped mental model of the web. The good news is that as Google’s view of reality is increasingly warped & their guidelines reflect reality less and less they create a greater opportunity for some competing company to come along and build something better. 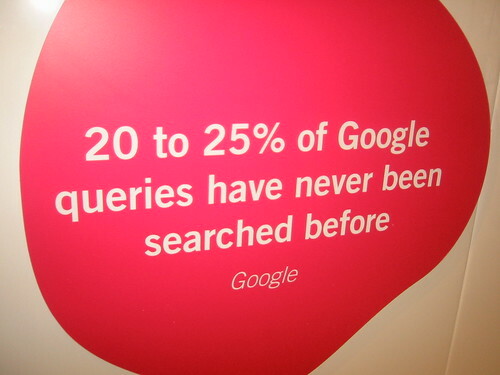 And for any professional SEO who reads between the lines there is value in Google misleading the rest of the herd. About a decade ago Sergey Brin stated they didn’t believe in spam. A decade later they don’t believe in the media and don’t believe in links. What happened? 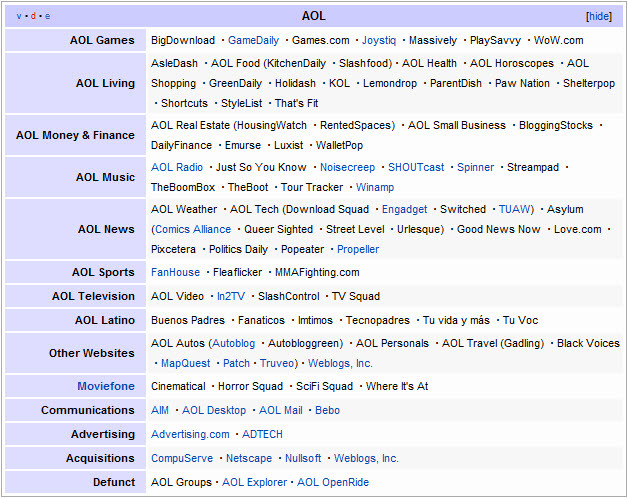 The backfill content business model has had a great run over the past 5 years, but with today’s announcement of Yahoo! acquiring Associated Content, it certainly feels like it is getting toward the beginning of the end for that model for most folks. Demand Media has grown eHow aggressively & struck partnerships with the likes of USA Today, and has recently been in the news about looking to do an ~ $1.5 billion IPO. If you look at Richard Rosenblatt’s past sales you will see that he is quite good at selling right at the top. About a year ago a friend told me he bought some Yahoo! stock and I told him I thought he was nuts, but if I saw signs of decent integration of this content then I think they just increased their longevity of their company probably by a decade or more. And the part of this model which works great is that they view this content not as a replacement for their premium content, but as a backfill for the keywords they would like to target which don’t have enough demand to pay for premium content creation. Some of the smarter independent webmasters have long understood that part of publishing profitably online means having featured content which loses money but builds awareness, and a second bucket of content which leverages that reputation to profit. That understanding is where the term “linkbait” came from, but now the big companies are playing the same game. Another shady practice is when you ask people for advice and they say “no don’t do that” and then as soon as they hang up the phone they send off emails to their workers telling them to do that which they told you was a bad idea. I don’t think that the average person or the average marketer is inherently sleazy. But I think when you look at the people who are the most successful certainly a larger than average percent of them engaged in shady behavior at some point. The word “propaganda” was a bad word, as that is what the Germans were using, so Edward Bernays had to give it another name – public relations. You can’t get any clearer than that! In the past when I claimed Google operated as-per the above I was accused of being cynical or having sour grapes. But when you tie together a lot of experiences and observations others lack and you are not conflicted by corporate business interests you have the ability to speak truth. You are not always going to be right, but the lack of needing to cater to advertiser interests and filter means you will typically catch a lot of the emerging trends before they show up in the media – whatever that is worth. Anyone who has watched The Meatrix is likely afraid of factory farms. The content created by these content farms isn’t much better. When I highlighted how bad one of the pieces was their solution was to delete it and hide it from site, then write a memo about how they do “quality” content at scale. That scale part is no joke – Demand Media brought in over $200 million last year. And I suppose if they put the word “low” in front of quality, it wouldn’t be a joke either. So now companies are building a wide range of “content” business models ranging from auto-generated content to semi-autogenerated mash-ups to poorly crafted manual rewrites (as mentioned above). 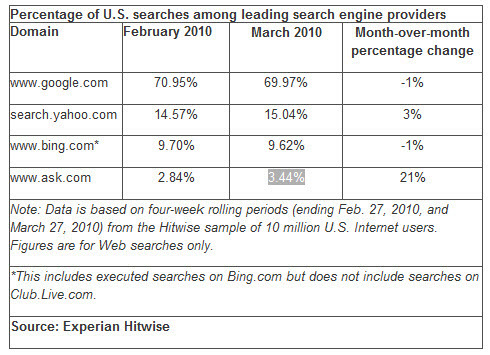 Ask.com’s share of search traffic rose 21% last month alone! We are no longer in an “Information Age.” We are in the Age of Noise. Falsehoods, half-truths, talking points, out-of-context video edits, plagiarism, rewriting of history (U.S. was founded as a Christian nation, for example), flip-flops, ignoring facts (Cheney and torture for example), neatly packaged code words and phrases, media ratings focus, dysfunctional government (fillibusters have more than doubled, but most don’t realize Republicans are blocking everything), mainstreaming fringe causes….I could go on and on. But you won’t find that content on the USAToday.com homepage. When he said “already congregating around very well-known brands” what he meant was “will rank well on Google.” And so, what we have is a paid content partnership which subverts search relevancy algorithms. If affiliate links shouldn’t count, then why would affiliate content? If Google doesn’t stop it from day 1 then the media companies are going to quickly become addicted to the risk-free money like crack. And if Google tries to stop it *after* it is in place then they are going to find themselves lambasted in the media with talks of anti-trust concerns. If a paid link that subverts search relevancy algorithms shouldn’t count on the web graph, then why should Google trust paid content that subverts search relevancy algorithms? Google is willing to truth police SEOs. Will they do the same for media outlets publishing backfill “content”?